Vietnamese leaders have sent their congratulations to Donald Trump after his victory in the US presidential election. State President Tran Dai Quang and Prime Minister Nguyen Xuan Phuc sent a telegram to Mr. Trump, the Ministry of Foreign Affairs announced. Other world leaders also sent congratulatory messages, including Russian President Vladimir Putin, Japanese Prime Minister Shinzo Abe, and UK Prime Minister Theresa May. Americans have made their choice and the world must now figure out how to work with a new US Commander-in-Chief with no prior experience in foreign affairs and who has adopted a controversial position on most global issues, like international trade, immigration and counter-terrorism. During the presidential campaign, Vietnam, as well as other Asian nations like Japan, India and China, was named as a country who had “ripped off” the US. 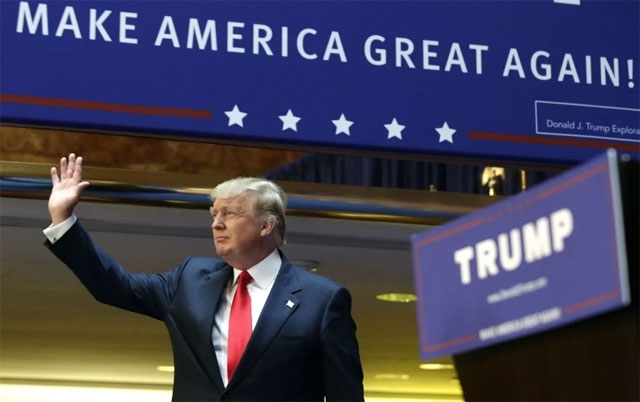 Mr. Trump’s nationalistic approach to global trade apparently won over voters seeking protectionist policies that will help cease outsourcing and keep jobs and business in America. Apart from repeating his campaign slogan of Make America Great Again, Mr. Trump has so far revealed nothing about how he plans to deliver on the promise. If he puts protectionist trade measures in place, particularly heavier tariffs, Vietnam’s trade outlook will suffer, as the US is a key export market for its agricultural produce, seafood, apparel, and footwear. Moreover, Mr. Trump has expressed an intention to reject the TPP. The more optimistic of Vietnamese officials believed that the National Assembly (NA) would ratify the agreement this year. The American Chamber of Commerce in Vietnam assured the government that the US would approve the agreement despite all the opposing voices in Congress. The election result has changed everything. The last NA session for this year is almost over, and it seems certain that the TPP will stay off the agenda. The prospect of America not ratifying the agreement has forced several TPP nations, including Vietnam, to adopt a cautious approach. None of the 12 nations has ratified the TPP to date. The latest resolution from the Central Committee of the Communist Party of Vietnam on global economic integration, released just three days before the big day in the US, reaffirmed that Vietnam would ratify the deal at “an appropriate time”.